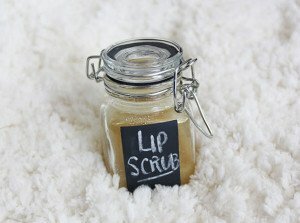 HowFaceCare.com > Beauty > How to make your own natural lip scrub at home, the simplest recipes and the most useful tips. 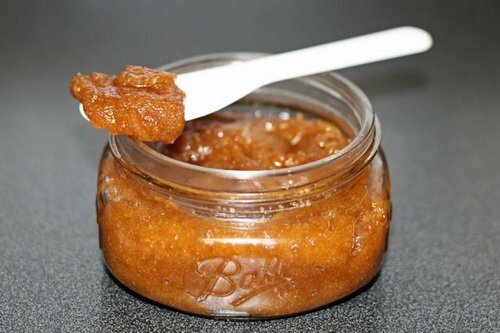 Using a homemade lip scrub once a week especially in the wintertime is very important. Your lips have the thinnest skin on your whole body and should not get chapped or dry. Many people suffer from dry, cracked lips and there’s no reason to keep them that way! With these simple instructions to make a gentle exfoliating lip scrub, your lips will be soft and supple. You’ve heard of body and face exfoliation, but have you heard of lip scrub and lip exfoliation before? That’s right lip exfoliation is one of the hottest buzz words in the health and beauty industry. We need to scrub the dead layers off our skin to maintain smooth and young-looking skin. The same applies to the lips. We must scrub exterior layer of our lips to make keep smooth and kissable lips. Lip scrub, like all other body scrubs, uses a gritty substance that to exfoliate the surface layers when rubbed on your lips. Lip scrubs remove the dead outer surface of your lips, but unlike body scrubs, they are generally safe if ingested. Lip scrubs are made to be sweet and great-tasting so scrubbing is healthy and enjoyable. Mix one teaspoon of olive or jojoba oil with one tablespoon of honey and one tablespoon of sugar. If you’d like, you can also throw in a drop or two of scented oil or some spices. White sugar will result in a gentler, more refined scrub. But both will work just fine! Mix until it forms a gritty paste. Decide now whether or not you’d like to add a bit of petroleum jelly. This addition will make it smoother, give it volume (for keeping later), and help it stay longer on your lips. Apply a small amount of the scrub to your fingertip and rub into lips gently. Leave the scrub to sit for about two minutes, and then rinse off with warm water. Now you can say “goodbye” to dull, flaky lips. Do this every two or three days to keep your lips radiant. If your lips are extra sensitive, however, keep it to once a week. Place any extra lip scrub in a small jar. An old eyeshadow or lip balm case will work perfectly. The scrub is enough for about half a dozen applications and can be kept for a little over a week. Sometimes it will separate when left alone. Worry not! Just dip your finger a bit deeper in and give it a stir. All you need to do is to combine a teaspoon of honey and a teaspoon of sugar in a bowl. As mentioned in the first method, white sugar is a bit smaller, resulting in a more refined, gentler scrub. If your lips are extra sensitive, this is a good way to go. Then it is necessary to mix to form a gritty paste. Pick up a toothbrush and rinse in a few drops of warm water. However, if you prefer your scrub to be more balm-like, omit the water. Just pure honey and sugar makes a great exfoliate. After that you have to dip the toothbrush in the paste. Scrub on the lips, leaving it on for 3 minutes. Then wash it off with warm water and a cloth. You should be left with soft and silky lips ready for kissing! Use the scrub every 3 days to rejuvenate this very sensitive area. 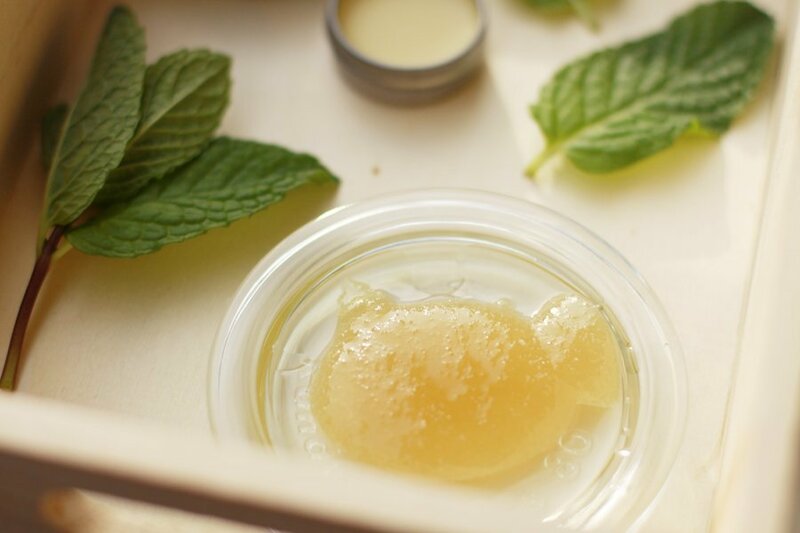 When the applying of this homemade lip scrub is over, you need to store for repeated use. Scrape the contents from the bowl into a small jar (an eyeshadow or lip balm jar work well). You should have enough for four or five uses and it’ll keep for around a week. If the honey rises to the top, just stir it up with your finger when you go to use it again. It’s still good! If you have no white sugar at hand, you can use brown sugar. 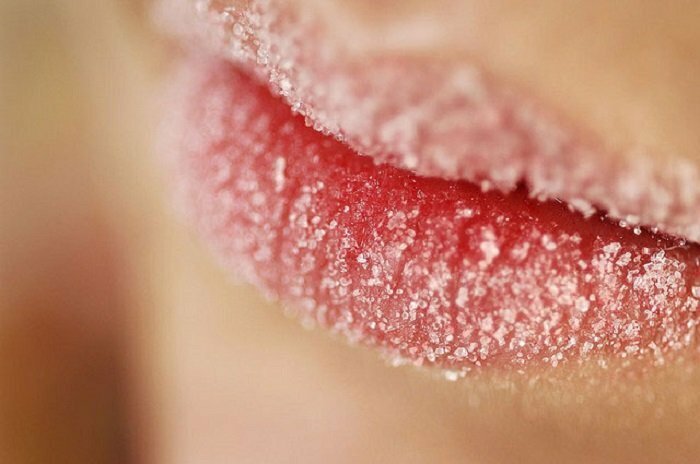 You can massage in the sugar for up to five minutes depending on how much time is available and how soft you want your lips to be. Once lip balm is used for a scrub it is a good idea to keep that same one just for that use. Don’t lick it off — you’ll be licking off dead skin! There is always the chance of cutting your lip while massaging, so be careful! Related: How to get rid of double chin? Let’s return your face its natural shape! While coffee might not leave you with the best aftertaste, I found this lip scrub intriguing! It’s easy to make, obviously, but that’s not the biggest draw. The caffeine in the coffee will actually rejuvenate the skin on your lips, making them flush with color and more alive. Just make sure not to swallow any, and follow up with a sweet flavored balm! All you have to do is to mix both the ingredients well and apply on your lips. Gently rub and leave it on for 5 minutes. Rinse with water and apply coconut oil or olive oil to make your lips soft. Another great tip is to use toothbrush for removing dry skin from your lips. You can use toothbrush for applying scrub. Gently rub toothbrush on your lips for a minute and rinse. You can use these scrubs twice a week because excessive exfoliation removes moisture and results in painful chapped lips. 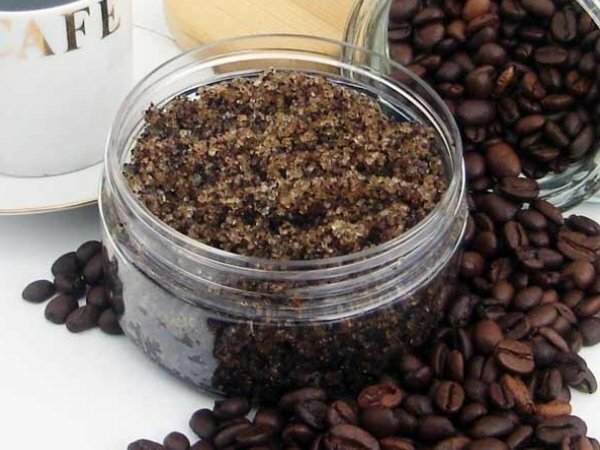 If coffee isn’t up your alley but you still want your lips to feel invigorated, try this minty fresh lip scrub instead! The addition of peppermint may not seem like much, but it does wonders for dry, chapped lips. 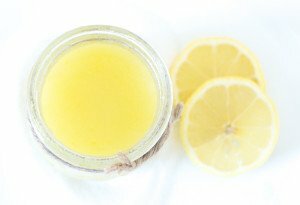 You’ll feel a wonderful tingle afterward, plus your lips themselves will be plump and smooth! Directions that you should follow: apply a warm wash cloth to your lips. Hold it there for five minutes to soften the skin. Apply the scrub mixture to both lips and rub for about a minute gently. Rinse with water and a wet washcloth. If your pout needs a lot of extra moisture, this is your scrub. It is absolutely decadent. We mean, you can pay lots of money for this in a store! Yet it only requires two ingredients, and while you might have to make a special trip for coconut oil, it’s worth it because you can use it to make beauty products for your hair and your skin as well. The recipe itself is very simple: mix the two together then pat on your lips and gently scrub in circular motion until it’s as smooth as a baby’s. Now your red lipstick will glide on as it should! Repeat daily until you feel your old pout is back. While this is refreshing in the summer, it’s also fantastic in the winter when you’re looking for a little dose of sunshine. Speaking of which, all that vitamin c does wonders for your lips! Keep adding the lemon juice gradually! The lemon juice acts as a lip cleanser- the acid of the lemon kills the bacteria on the lips. It also tastes great too! Do not add too much lemon juice in one go! If you’ve added too much juice, just even it out with a couple more teaspoons of sugar. The sugar acts as an exfoliator to the lips, removing the dead skin. Now leave the paste to the side for a while. We need to heat our petroleum jelly in the microwave for about 2 minutes. After two minutes in the microwave, the petroleum jelly should be liquid as shown above. The petroleum jelly acts as a moisturizer and gives your new soft lips a lovely polish! Now pour the paste into the basin of petroleum jelly and mix with a couple of toothpicks. The paste will become runny again if you have noticed. We don’t want runny paste! To rethicken the paste, gradually add teaspoons of caster sugar. And a little more lemon juice to add some flavor! The paste should be a lot thicker than before as the petroleum jelly hardens… Finally, pour your lip scrub into your tin/jar and you’re done!